Welcome to Sapphire's Kooma Runes page. I have worked with spirits for many years, feeling and hearing them, I feel people’s sadness and their joy and my guides pick this up like radar. I started to do reading about 10 yrs ago when I realised I could make a difference in people’s lives. I saw and felt many things as a child and somehow felt different to other people, knowing when love ones would pass and felt the smallest of changes with impact in my life. As a reader I try and give you answers to your problems nothing is set in stone so we all have free will to choose which path way we want, I will help with your decisions and help put you on a new pathway, opening new doorways and bringing joy back to your life. Our lives change daily and I hope as a reader I can guide my clients in the right direction , my saying is try and keep things as easy as one two three. 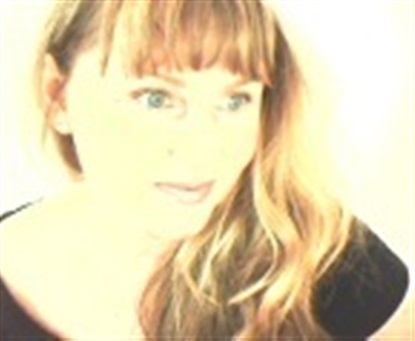 I am a clairsentient and clairaudient psychic tarot card reader. This means I feel and hear spirit and use the tarot cards as a tool to tap in to answers. I work with my guides but also use the tarot as a tool to guide me in the way I work, sometimes it’s not the cards but also the colours in the tarot that high light changes coming in. My love deck gives off a different vibration and sometimes show me what a client needs to learn about themselves. I also work with the Mirror Cards a powerful tool which enhances and highlights your relationship issues. A lot of people have psychic experiences, for me i can dream things that fall in to place to important landmarks in my life came through dreams, this is a vocation to me and does not stop when the phone line is put down, and as a psychic or light worker I continue helping others 24/7. I realised I had a gift from a very small age. I felt and sense spirit very strongly as a child. I never felt alone and could always sense things, people's emotions, thoughts and feelings. When I hit my late twenties certain things in my life happened. This took me down the road of helping others. I have worked in this field for many years and have had lot of life experiences. I have been through many difficulties which allows me to understand what my clients go through. I don’t really go into the field on a medium level but it was to do with a child that had pass over. The tears and the joy of the callers when they got in touch. Many happy experiences some very funny to. The runes are a way of tuning in the shapes and the symbols. I also do automatic writing numerology which is a different way to read for people. I never know what tool spirit will guide me to use. Sorry I didn't get chance to say a huge thank you for your reading just now. I will take on board everything you've said. Spot on with his description! Sapphire was correct with timings around work news, gave some dates for good news and so far has been accurate. Couple more dates and predictions to come through which I'm hoping she will be accurate again. Thanks for the positive reading and more importantly for being truthful.